I’ve been talking about wanting to visit Vesterålen pretty much since I first looked at a map of Norway, yet it took me another 20+ years to actually make it there. And was it worth the wait? 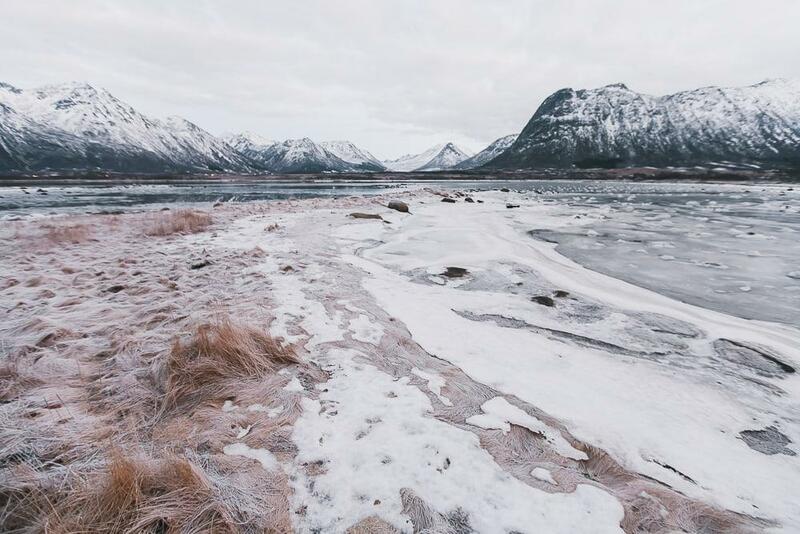 Let’s just say that it only took four weeks before I made it to Vesterålen a second time. 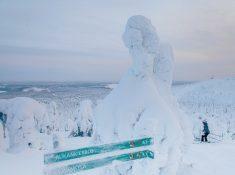 And if anyone wants to make plans to visit in February I’m totally up for it! Vesterålen is the group of islands above Lofoten. 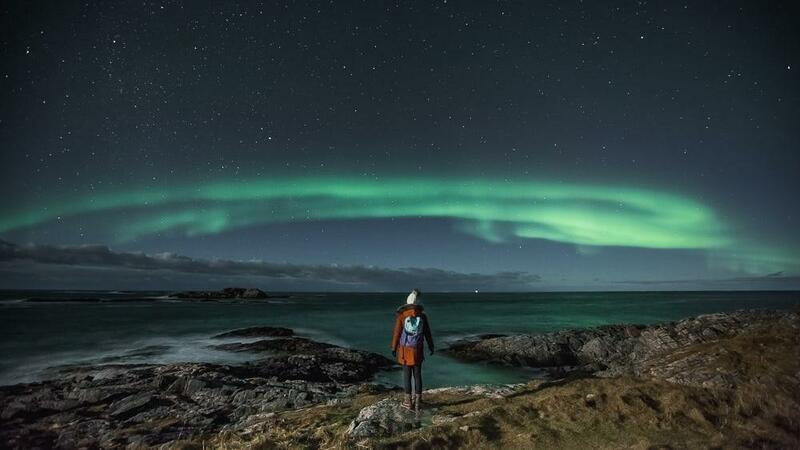 They don’t have Lofoten’s fishing or Instagram fame, so they’re a lot quieter. So my question was – is Vesterålen too quiet? 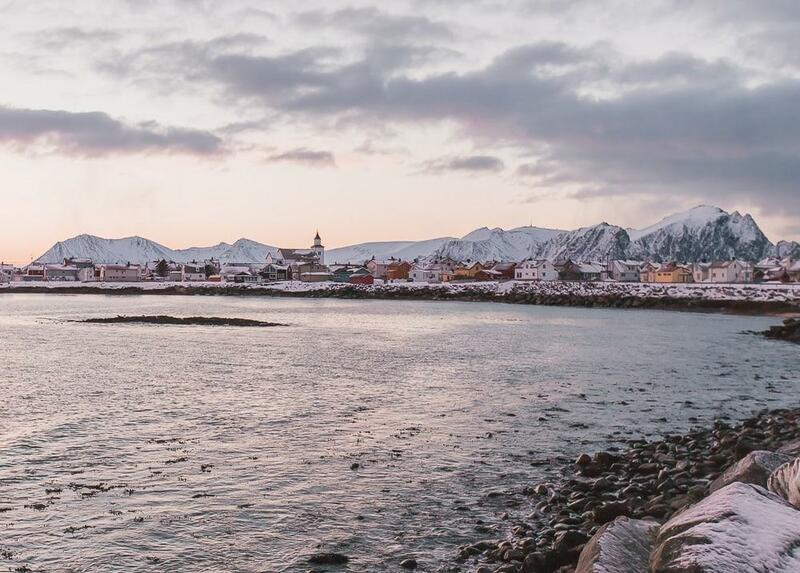 Is Vesterålen less known because it’s less beautiful? I think in my mind I imagined Vesterålen to basically be like Lofoten but with fewer tourists. 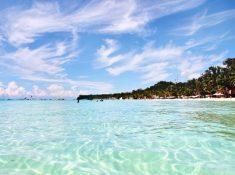 That’s not really the case – the two groups of islands actually look quite different. 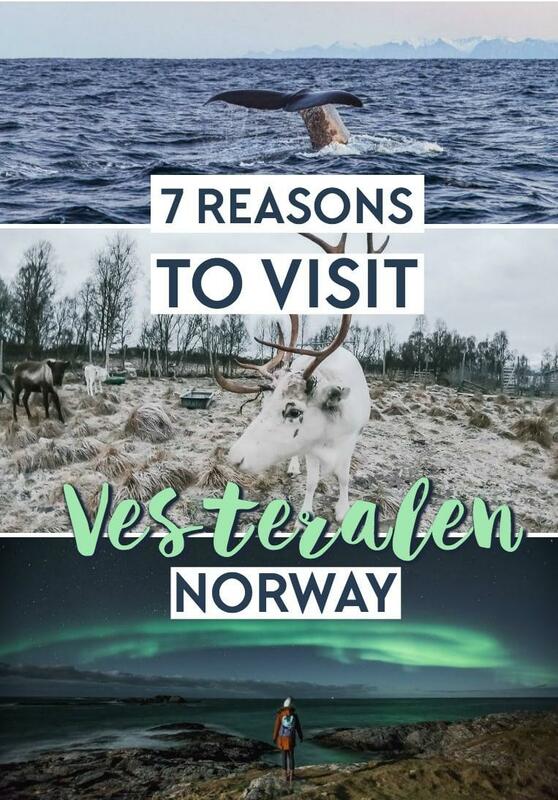 But what I love about Vesterålen is that it’s special in a totally unique way, with some attractions you won’t find on its southern neighbors. 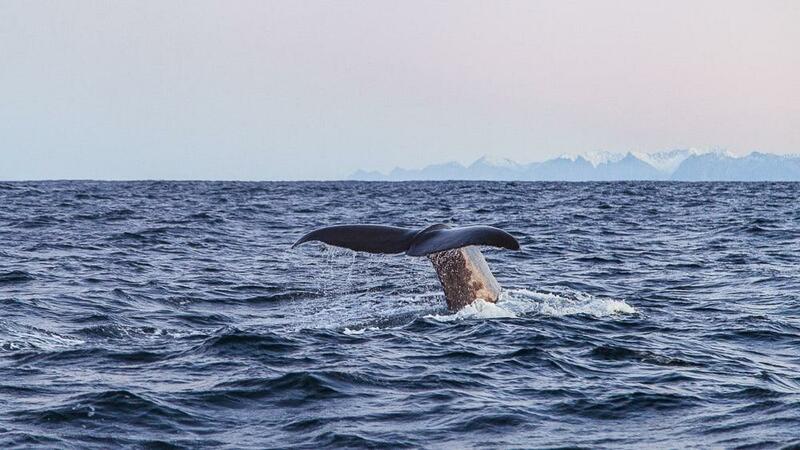 Amongst visitors to Norway, Vesterålen is probably most famous for its whale safaris. 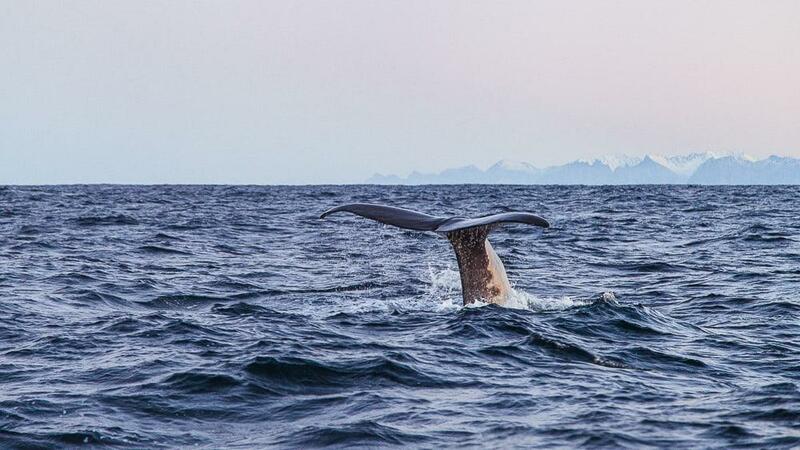 I went on a whale safari with Sea Safari Andenes. This was in the middle of December, and as with my sea eagle safari in Lofoten, I had been a little concerned there wouldn’t be enough light to see the whales, especially as we were even farther north here in Andenes. But again, the light actually turned out to be beautiful throughout the entire whale watching tour, with pink skies reflecting in the water in lovely pastels. It was like being in a painting. And after the tour we returned to the office to heat up with soup and coffee, and our guides gave us a thirty minute lesson all about the whales. It was great to leave feeling like I had not only seen something amazing, but also learned so much about these wonderful creatures. Like, it’s kind of crazy how little I had known about whales, seeing as I had already gone whale watching twice before. I find that in general Norwegian tour companies place a huge emphasis on teaching, as part of Norway’s commitment to sustainable tourism. 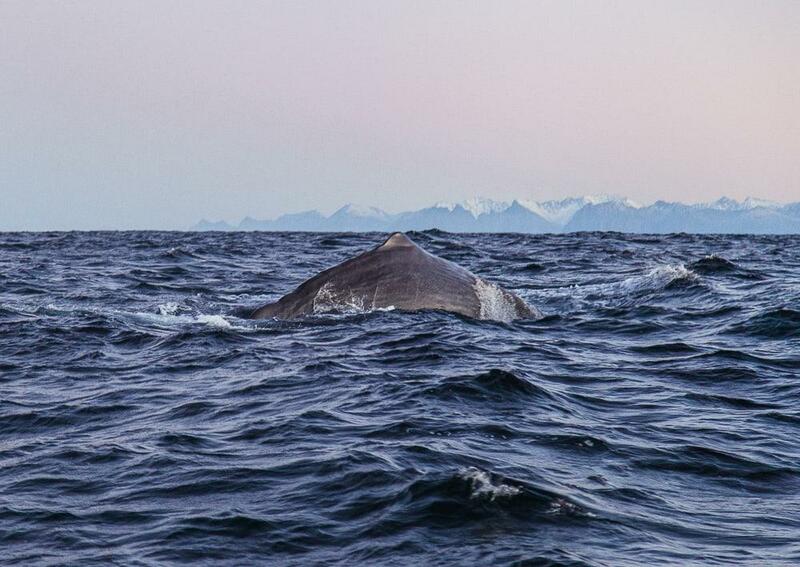 So if you want to not only see whales in the wild but also learn more about them, definitely come to Norway! 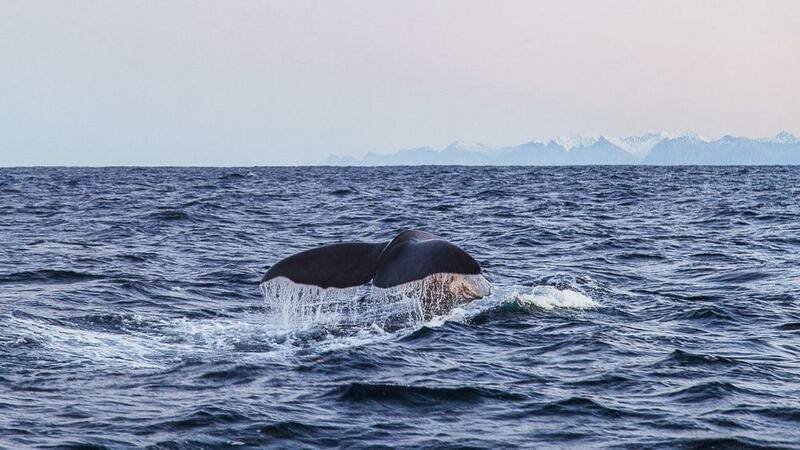 Now you might be wondering what the chances of seeing whales on a whale safari in Norway are, as well as what kind of whales you’ll get to see. A lot of people come to Norway to see the orcas, or killer whales (the ones that look sort of like big dolphins), but I was there a bit too early for them. It varies year to year, but orcas and humpback whales usually show up some time in January and stay until early February – our guide said to visit in mid- January for optimal daylight and the best chance of seeing the orcas in the winter season. Then again, I returned in January with my friend Danielle because she wanted to see the whales as well, and there had been so many storms that they still hadn’t seen any orcas by January 14th (the year before they had seen the orcas every day). 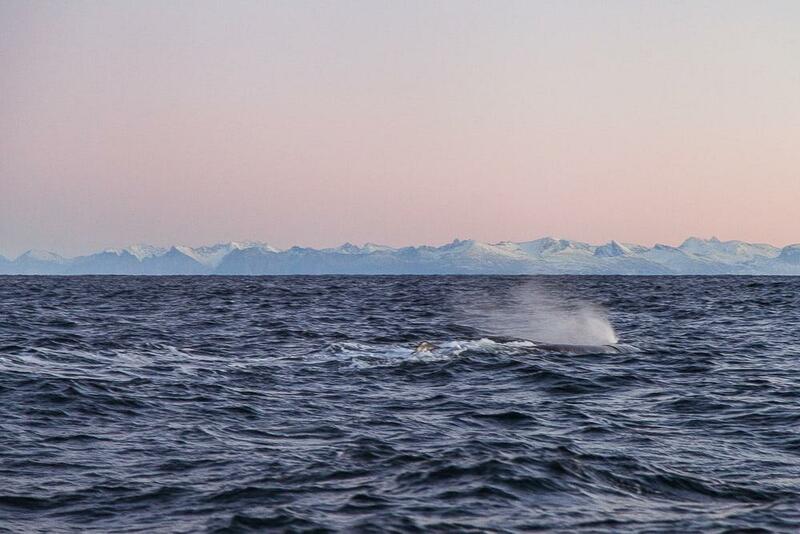 Then the orcas come back again at the end of March and April, which is a great time to see them as the days are much longer – our guide said that this is probably the best time to see whales in Norway. However, the orcas are a part of nature so there’s no way to predict exactly when they’ll arrive each year, and since the whale safaris tend to fill up even months in advance you’ll have to take your chances. But don’t worry, even if you don’t get to see orcas you’ll still almost certainly see sperm whales and possibly humpback whales. 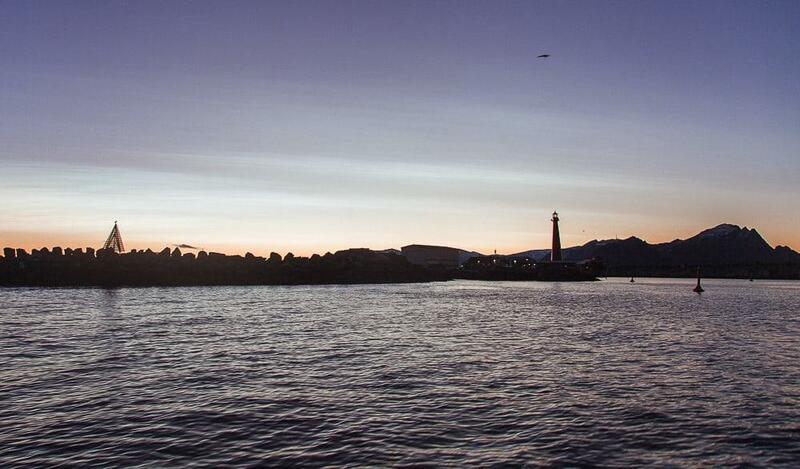 I think it’s very unlikely that you would ever go on a whale safari from Andenes without seeing any whales at all. In fact we saw two whales on our whale tour and our guide seemed apologetic that we hadn’t seen more. The sperm whales are in the area year round, though you’ll also find more of them in the peak whale watching season from December to April. Danielle and I both saw sperm whales on our whale tours. They communicate with really loud clicks which the guides can listen to underwater to fairly easily track where they are. And the guides understand their behavior and habits so well they know when they’re most likely to surface, so if there are several different whales in the area they’ll know which ones to head towards. I also really loved going out on a small RIB boat. We were a group of eight people and so we all had a really good view the whole time. I’ve heard that on big boats there can be a lot of scrambling to get the best view of the whales, but that was not a problem at all on our small boat. But also, just the boat ride itself was really fun! I sat in the second row and when we sped over the waves it felt kind of like being a on a rollercoaster (and the two girls in the front row got soaked several times). But if you want a more gentle ride then definitely opt for the back of the boat. And again, everyone had a good view of the whales the entire time, so don’t worry too much about where you’ll be seated. 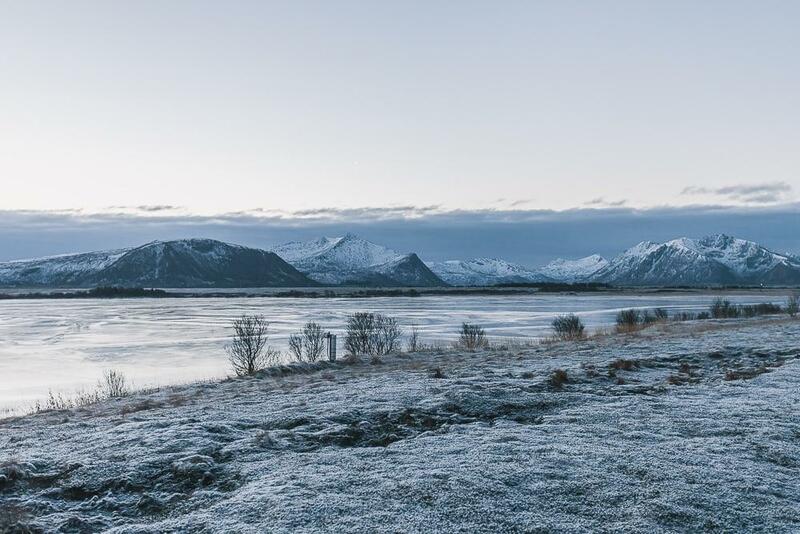 The other great thing about Vesterålen is that you can see reindeer here! 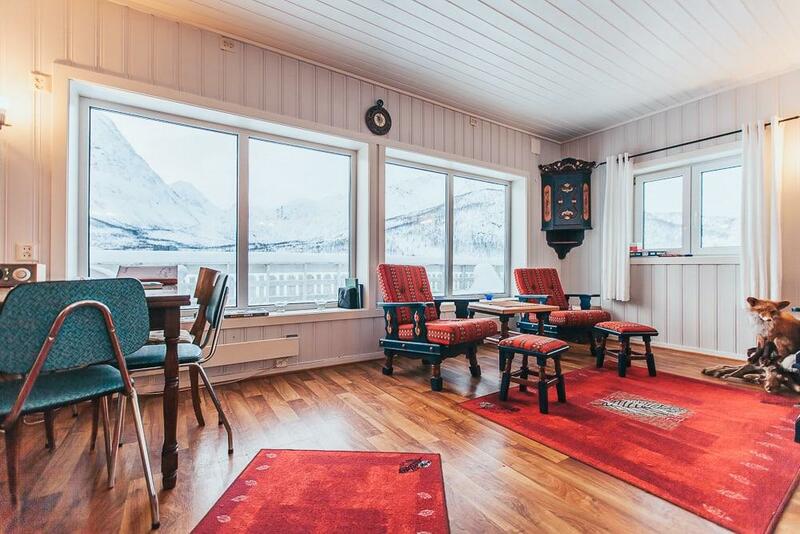 Of course there are lots of Sami families with reindeer all over Northern Norway, but not many of them open their homes to tourists. 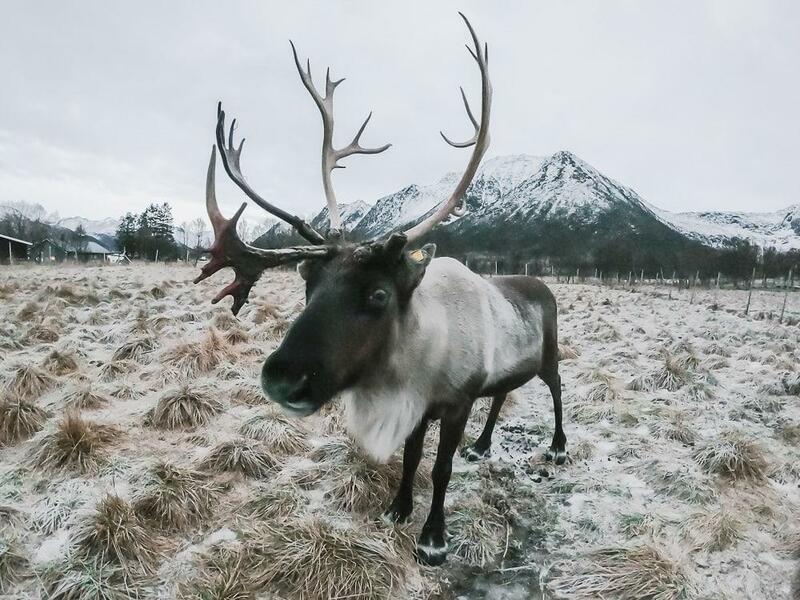 In fact I used to think that you had to go all the way up to Tromsø or Alta to visit reindeer, so I was excited to find that you actually can visit reindeer down in Nordland as well. 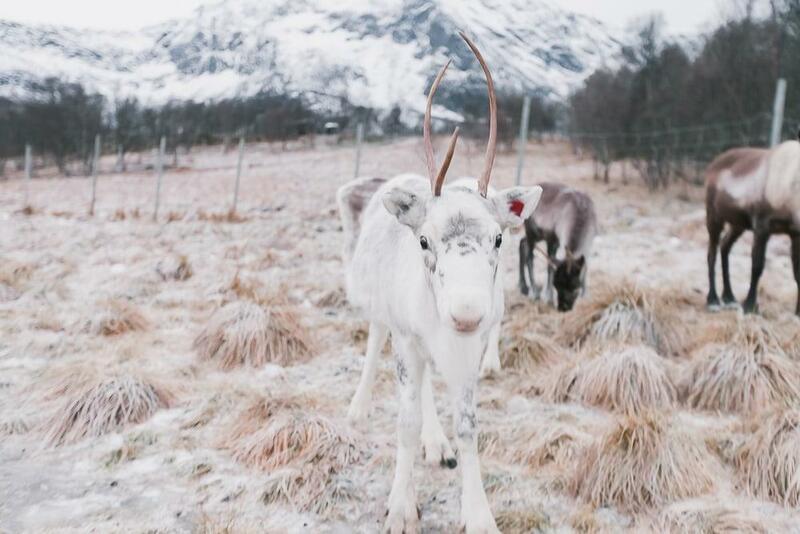 Inga Sami Siida is a family farm right outside of Sortland in Vesterålen, where you can feed reindeer and learn more about Sami culture and traditions. I only stopped by to meet and feed the reindeer, but Laila said that if you book in advance she can arrange an afternoon in their lavvu tent where you can hear traditional stories and songs. There’s also a small shop selling reindeer furs. 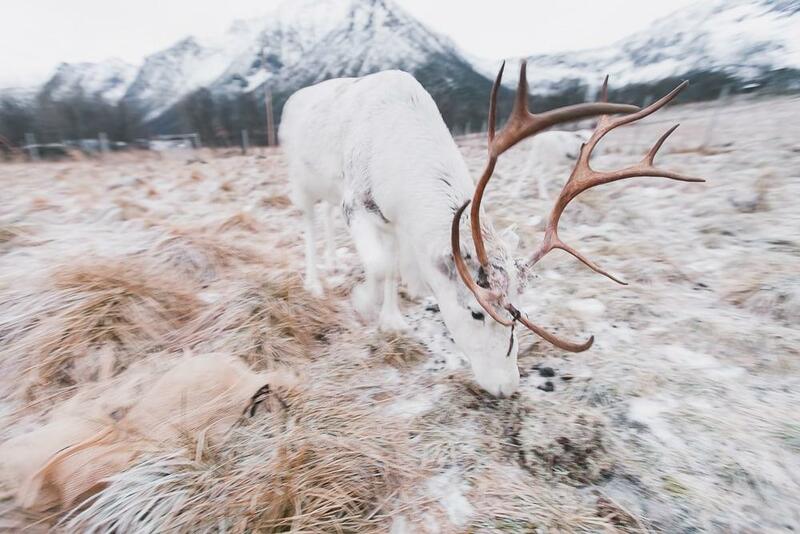 They’re open in the summer from June 15 – August 31 from 10 am – 3 pm and the rest of the year by appointment, though as this is a small family farm I would email them in advance anyway just to make sure they’ll be there, especially if you’re traveling from far away to see the reindeer. You can contact Laila at lailainga@hotmail.com. 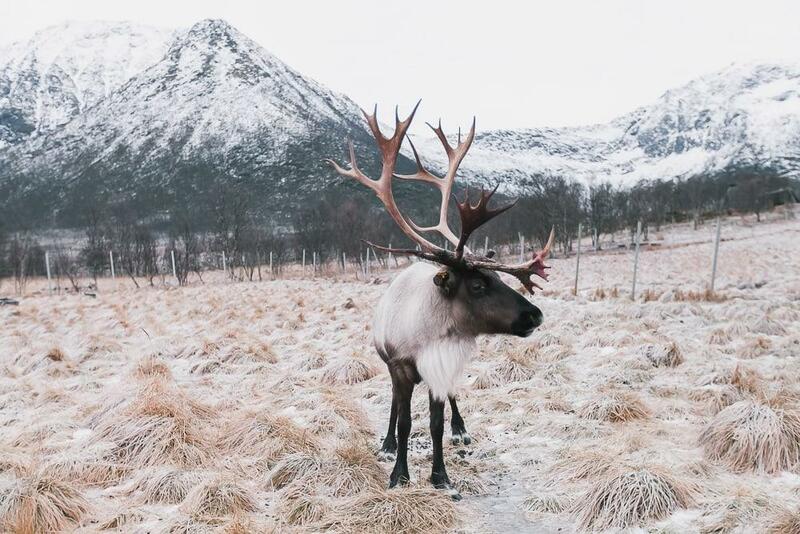 This is a great option if you’re looking for somewhere to visit reindeer near Lofoten, as Sortland is only an hour and forty minutes from Svolvær. Plus the drive up here is really beautiful – I’d recommend taking the slightly longer route via Stokmarknes and Melbu if you have the time. 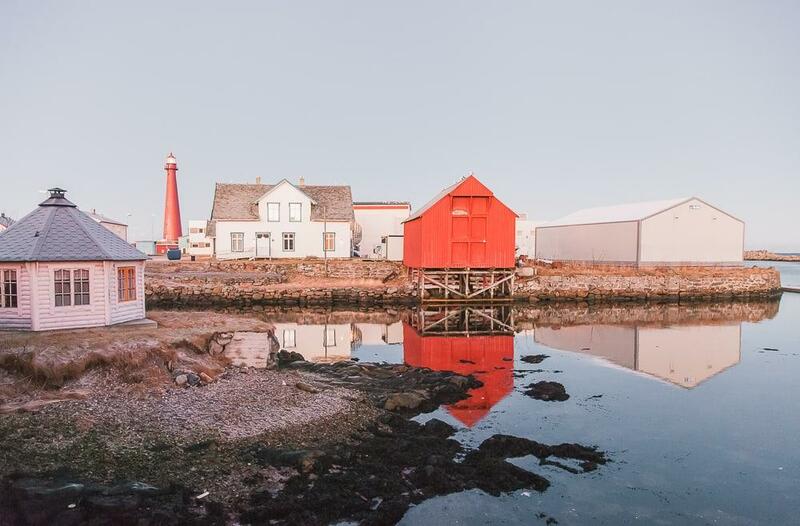 It’s technically a shorter distance, but you’ll need to take a ferry from Fiskebøl to Melbu. You can check the ferry schedule here. And I mean, how can you come to Norway without seeing some reindeer? 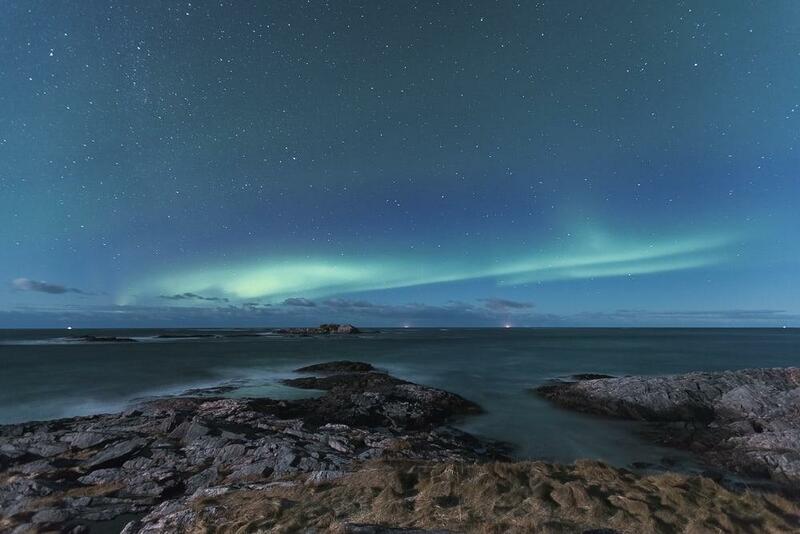 Did you know that there’s a space center on Andøya in Vesterålen? 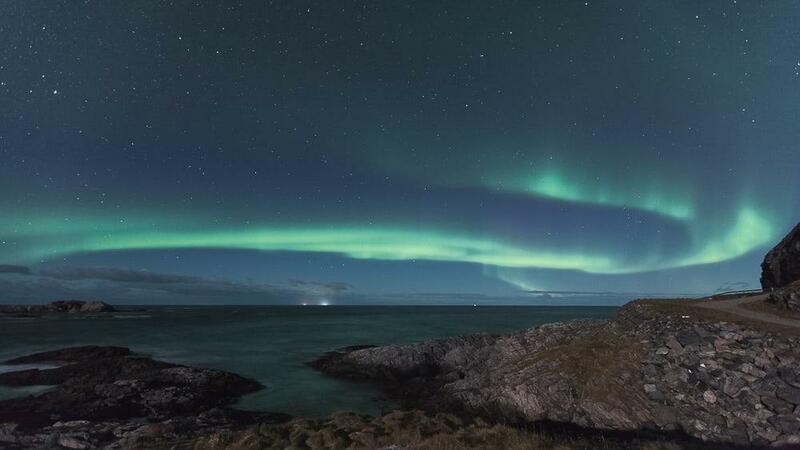 Besides launching rockets, it’s also a center for Northern Lights research as it’s at a prime position for Northern Lights viewing – which means, if you want to see the Northern Lights in Norway, Vesterålen is a great place to visit! 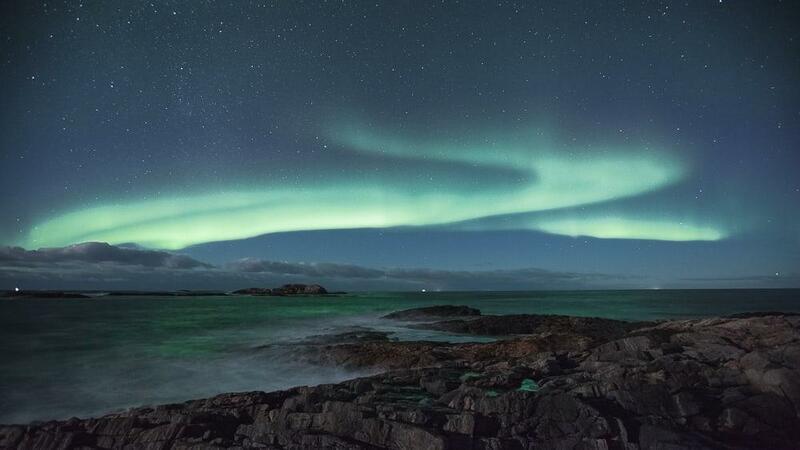 I only spent one night in Andenes, but even during the short time I went outside at night I saw some of the best Northern Lights displays I’ve seen all winter in Northern Norway. 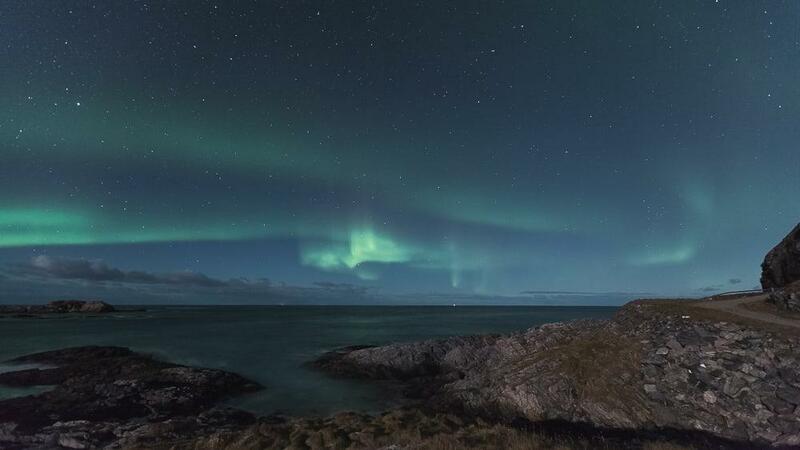 If you’re looking for places to see the Northern Lights in Vesterålen, Kleivodden rest area near Bleik is perfect. You can park your car here and then walk down to the sea, where you’ll have a clear view north. 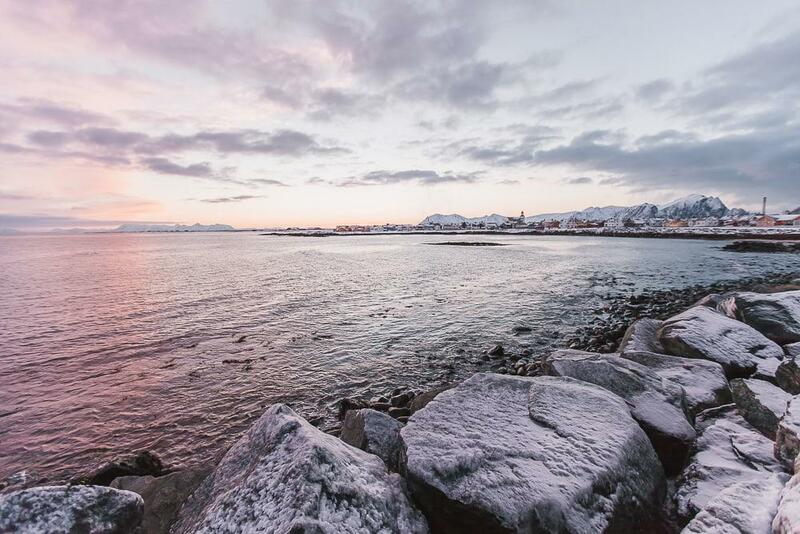 If you look at a map, Andenes does kind of look like it’s sitting on the edge of the world. And it feels a bit that way too! The drive up there is really quiet (and beautiful), and the landscape is so dramatic. But I love that the town itself is so cute! You’ll find pretty wooden houses and an old church, with lots of little shops and cafés. 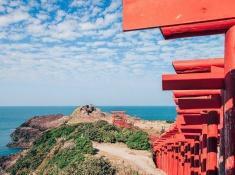 The surrounding nature is definitely the highlight here, but I’d say the town is also worth an afternoon of your time. 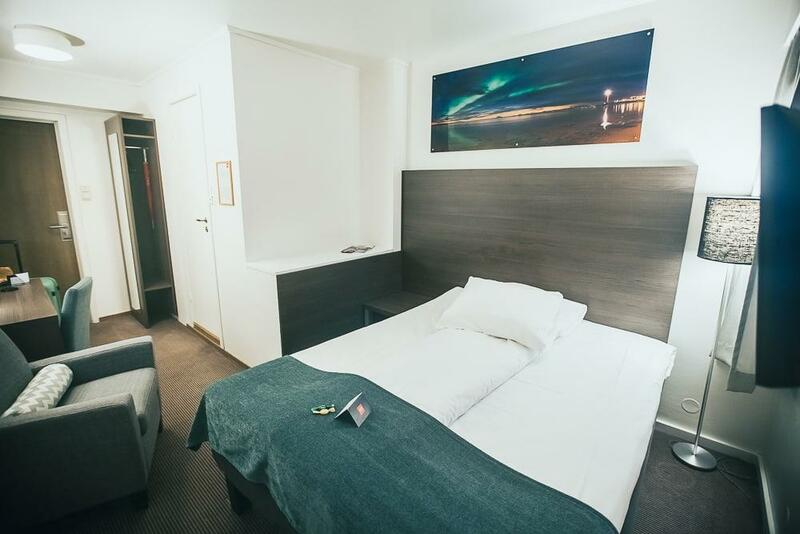 I stayed at the Thon Hotel Andrikken in Andenes and if you’ve read my other posts from Norway you probably already know how I feel about Thon hotels. I’ve said it so many times before but I’ll say it again (and no, they aren’t paying me lol), Thon hotels have the best breakfast buffets in Norway. I’ve written a lot about Norway’s National Tourist Routes, which are considered Norway’s most beautiful drives. I’ve driven down twelve of the eighteen routes now, and I have to say, some are more impressive than others. But Andøya’s scenic route is definitely one of the impressive ones! The landscape is beautiful the entire way down, and the drive is so quiet. 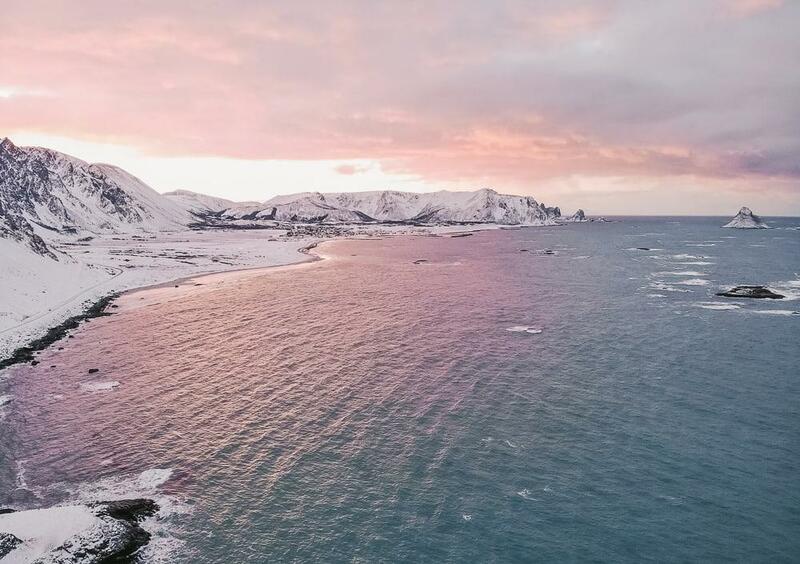 I first drove down the Andøya tourist route north to south, leaving Andenes in the morning when it was still dark, and it got lighter as I made my way south. 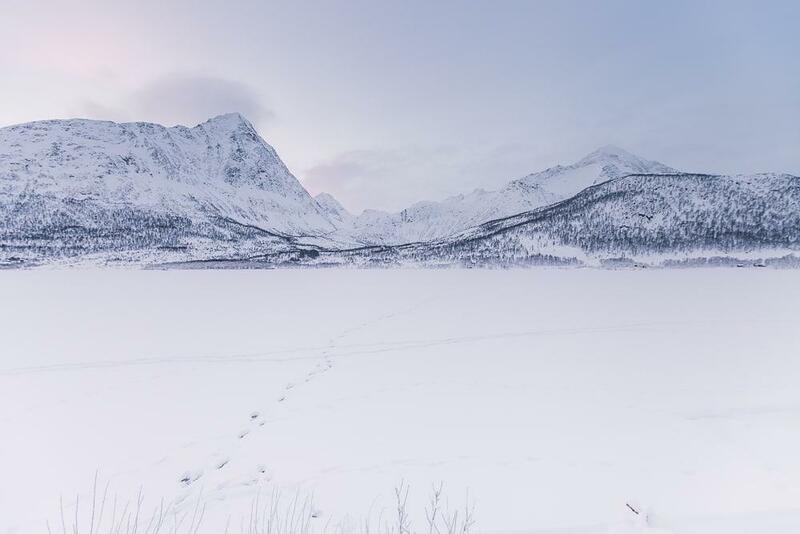 But then I returned to do the drive again a couple of weeks ago with Danielle and then we started in the south and it got dark on our way north, so I finally managed to see the whole route in daylight, even during polar night! And it is stunning. 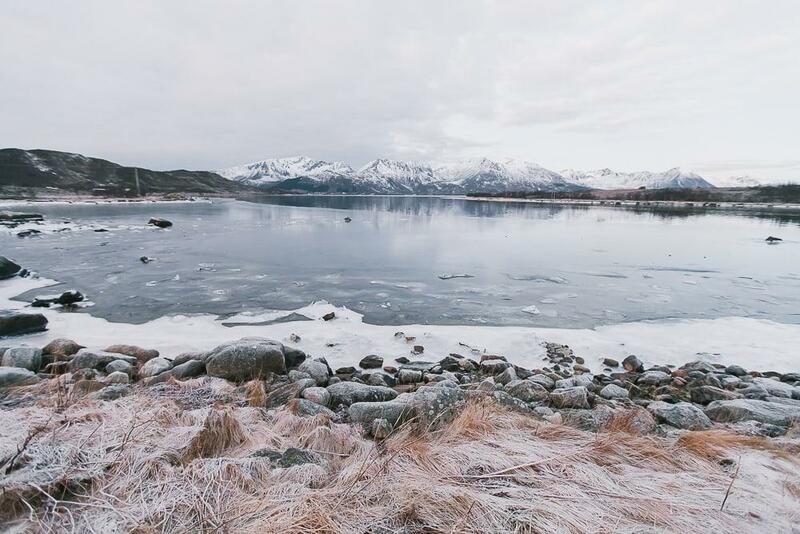 Considering how beautiful Vesterålen is, it’s kind of crazy how quiet it is there. When I drove down the scenic route I think I only saw two other cars on the entire drive. 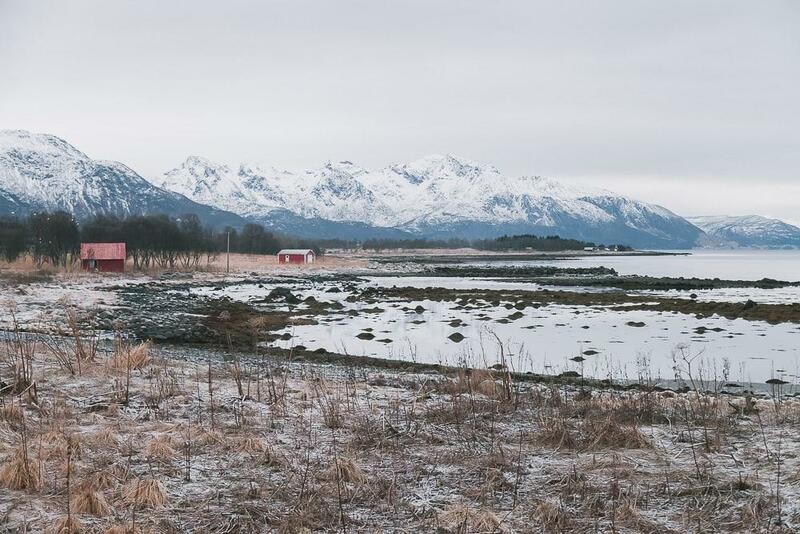 I don’t know if Vesterålen will stay this way forever, but for now it really does feel like a hidden gem in Norway. My friend and I spent a couple of days at this lovely Norwegian cabin near Sortland, and it seriously was the nicest quiet escape. 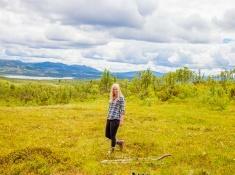 Staying in a cabin, or “hytte,” is such a key Norwegian experience that a lot of tourists here miss out on. 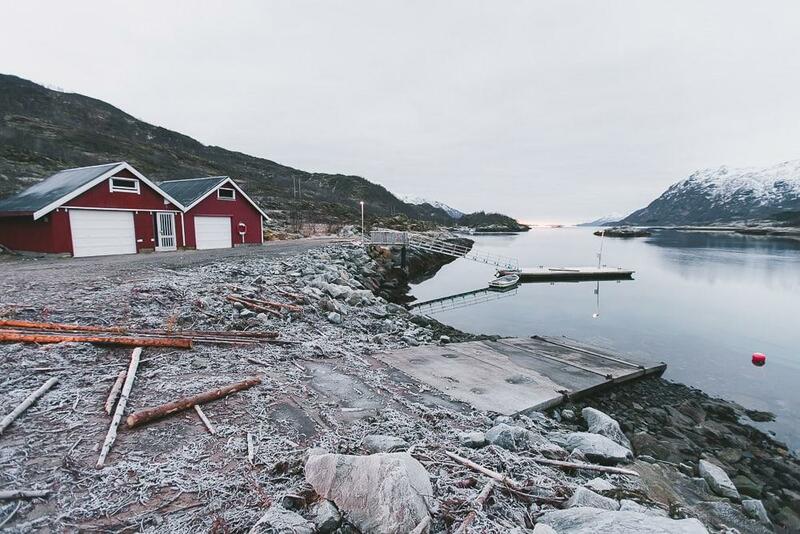 In fact Norwegians love to spend all their holiday time at their cabins in the wilderness, reconnecting with nature. It might sound boring but actually it is so nice, and a very special experience to have in Norway. And finally, while I do think Vesterålen is well worth the trip on its own, it doesn’t hurt that it’s near so many other great places in Norway. 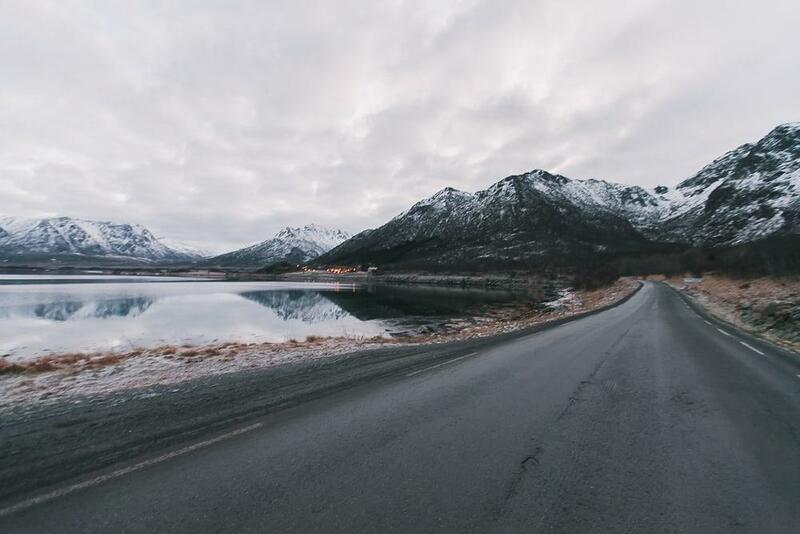 I’ve shared my full itineraries for both my December road trip and my January road trip around the region, where Vesterålen was the perfect stopover place between Lofoten and Narvik. Such a wonderful place to bookmark. Thanks for sharing. 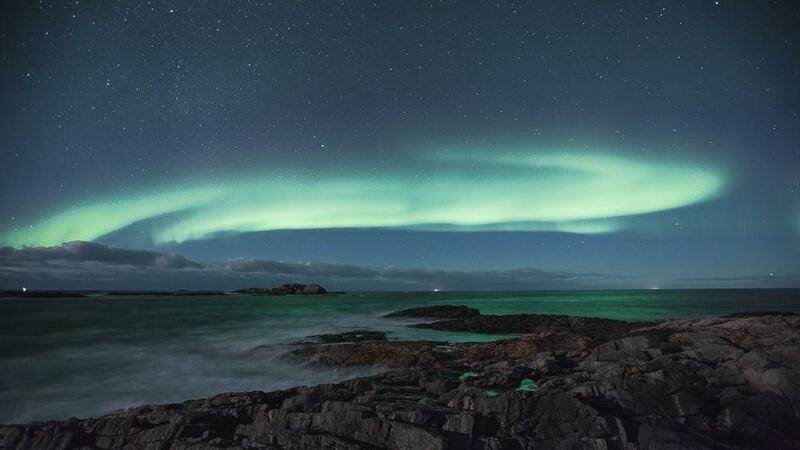 Since I was young, I long to visit Norway and I imagined myself enjoying the northern lights as it flashes in my face just like in the movie (the lion king). It feels so great and exciting.